Here at Britannic Technologies we have recently released a Business Mobile offering. (If you haven’t already read my article on our offering recently, then read about the Britannic Business Mobiles offering here). One of the growing challenges for business and IT leaders in meeting the needs of BYOD (Bring Your Own Device) and the proliferation of mobile integration and mobile business applications is how do you effectively manage mobile devices, applications and security. Mobile Device Management (MDM) is effectively looking at how you administer the devices – how you deploy them, how to secure them, monitoring and integrating mobile devices in to the company network. We all know that the uptake of mobile devices and bringing your own device into the workplace are on the rise, and as such controlling or managing those devices is an extremely important part of our working day. Whilst our customers are increasingly wishing to support the demands for mobility and flexible working as it helps to improve productivity there is a clear recognition that whilst security and management is of paramount importance too many sanctions and restrictions can result in stifling the calls for simplicity, familiarity and ease of use. However, how can we ensure that devices are being used correctly? When those leave the office and the network, how can we be confident that when they come back in they will not pose a threat? How can we give our staff the freedom they want without compromising the business? Ideally IT should be aware of every device used in the organisation from activation to retirement but this does require a thorough strategy for managing your mobile devices. 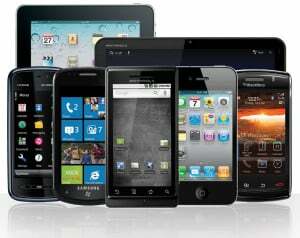 Mobile Asset Inventory – what type of devices are they? How many do you have? How do you want to maintain them? How do you want to keep track of those devices? Mobile Device Provisioning – supported platforms? Device registration? Activation on those devices? How do you want those devices configured? Software Distribution? Mobile Security Management? Data Protection? Support? These were all questions that were fielded to us from various organisations at one time or another which has prompted us to introduce a market leading mobile device management solution as part of our overall offering, in partnership with MobileIron. Yesterday (August 26th) they released “Anyware” which is a service giving administrators power to manage devices, provisioning them and allowing individual users to gain access to their own personal app store. Our Mobile Device Management solution enables you to control devices remotely, allocating the apps that you want your staff to have access to and applying rules and regulations around the use of the device. From a web-based console IT managers (or the relevant administrator) will have the ability to configure devices, set policies for encryption and lockdown whilst enforcing passwords and protecting devices from unreliable apps or downloads. Our solution provides a simple platform to control mobile devices. How are you controlling devices in your environment? Are you controlling them at all? We would love to hear thoughts on what works and what doesn’t work for you. Disruptive Innovation: Industry Savior or Hazard?